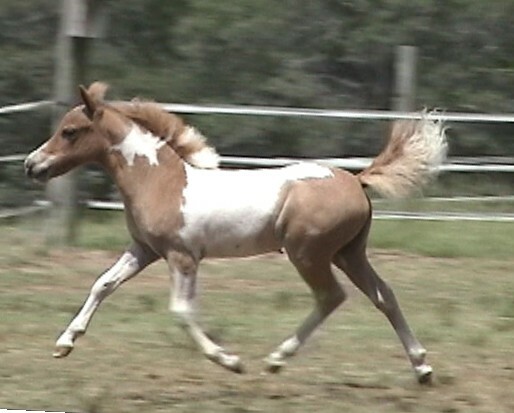 Sorry, all fillies have been sold. 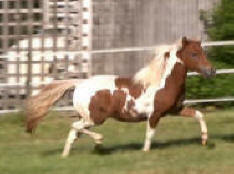 Unbelievable motion, front and rear, stacked up for many generations. 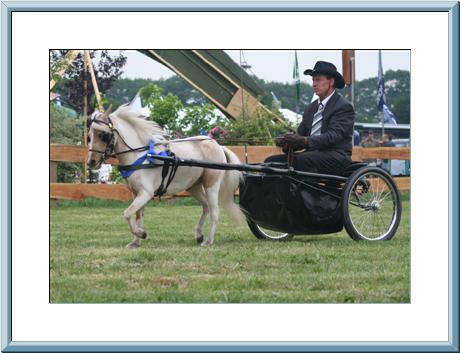 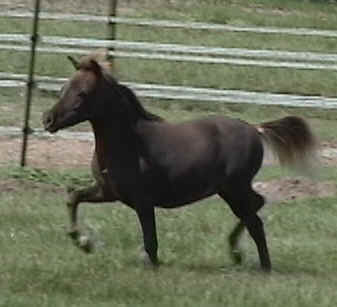 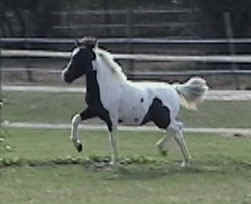 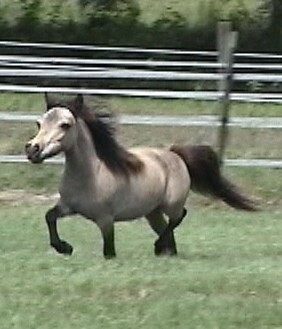 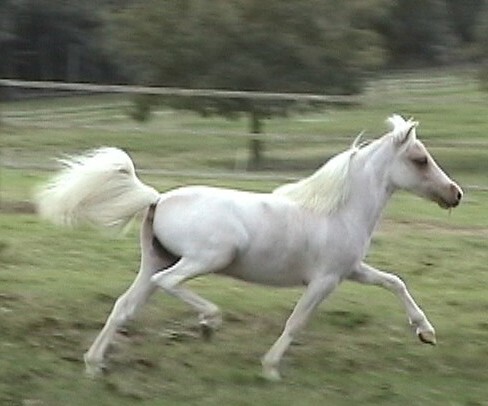 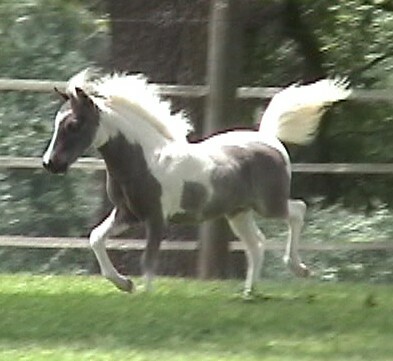 If you like pinto miniature horses, Soft Touch is homozygous; she will always produce a pinto foal. 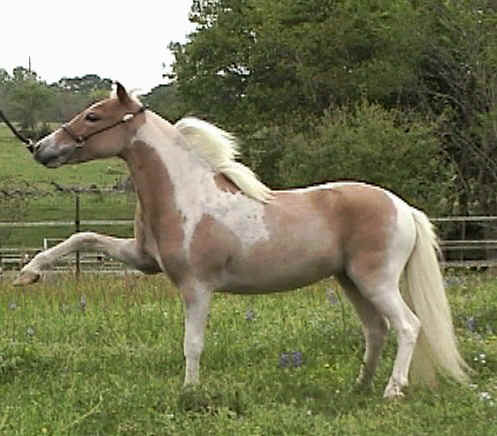 HCM X-CALIBER'S PEACHES N CR�ME Very friendly, would make a great youth or beginners horse. 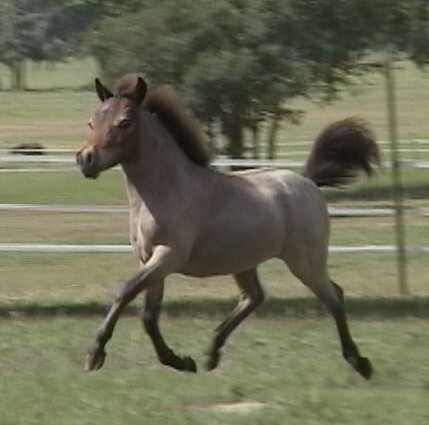 HCM X-CALIBER'S PRINCESS JASMINE (HCM Navajo's X-Caliber x HCM Playgirl's Princess) Beautiful homozygous pinto yearling filly sired by HCM Navajo's X-Caliber. 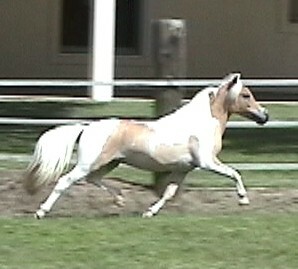 HCM WAR PAINT'S HONEYSUCKLE ROSE (Foaled:4-14-03, measured 28" on 12-18-03) Gorgeous little filly with lots of style. 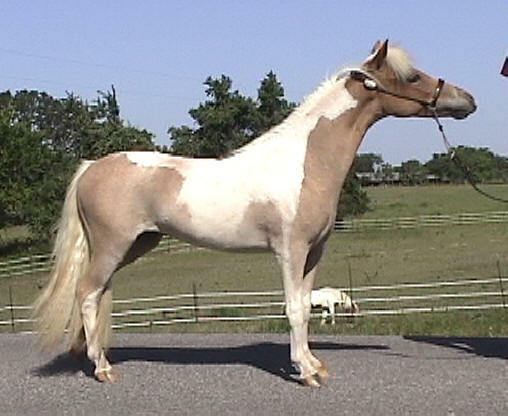 Her dam is HCM Buck's Cameo Dove, an Almighty Buck daughter out of Soat's Lil Dove, producer of multiple National Champions. 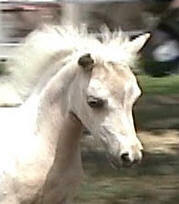 Honeysuckle has a lovely short head with large eyes. 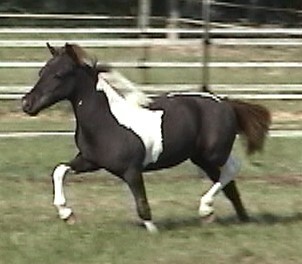 Check out the nice round hip. 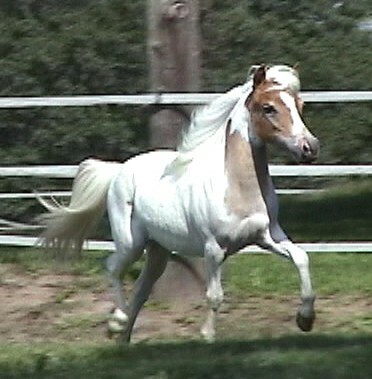 Very good show prospect - gentle personality. 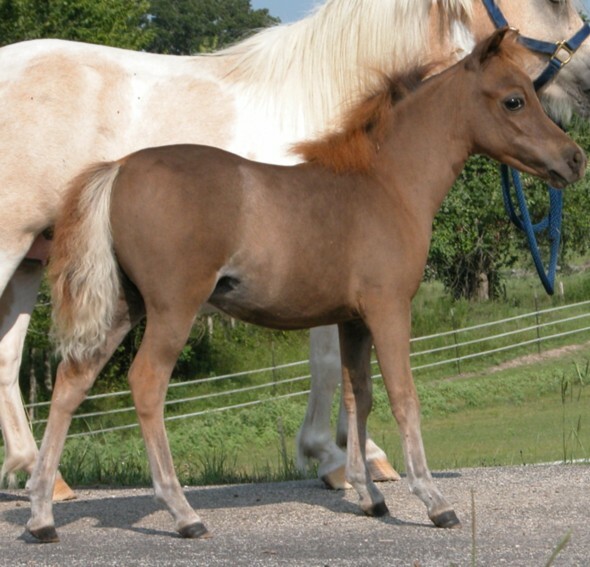 HCM BUCK'S LILIANNA (Foaled 4-25-2002, 28" on 12/18/03) Elegant and diminutive little filly out of AMHA National Top Ten halter mare, HCM War Paints Summertime. 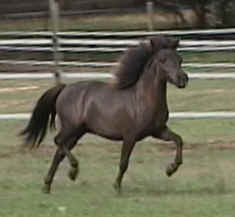 Summertime's full sister produced this years AMHR National Grand Champion Senior stallion - HCM Thunderstruck. 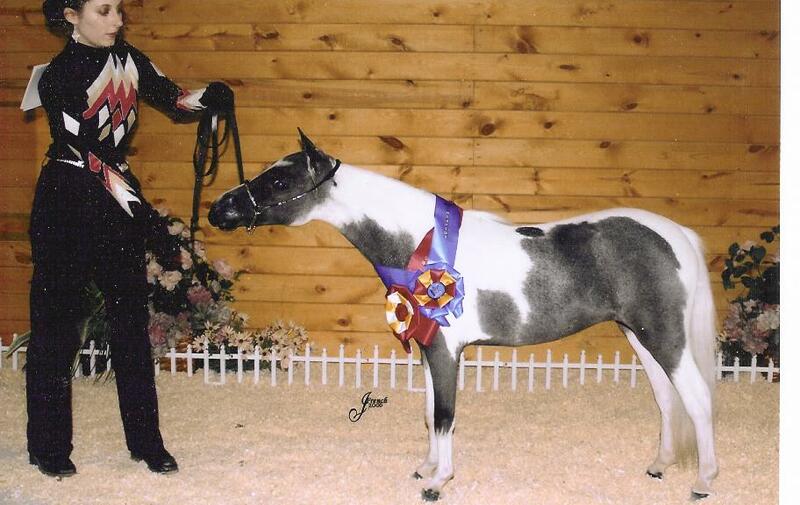 Lilliana was sired by AMHA National Top Ten halter champion Little King's Almighty Buck. 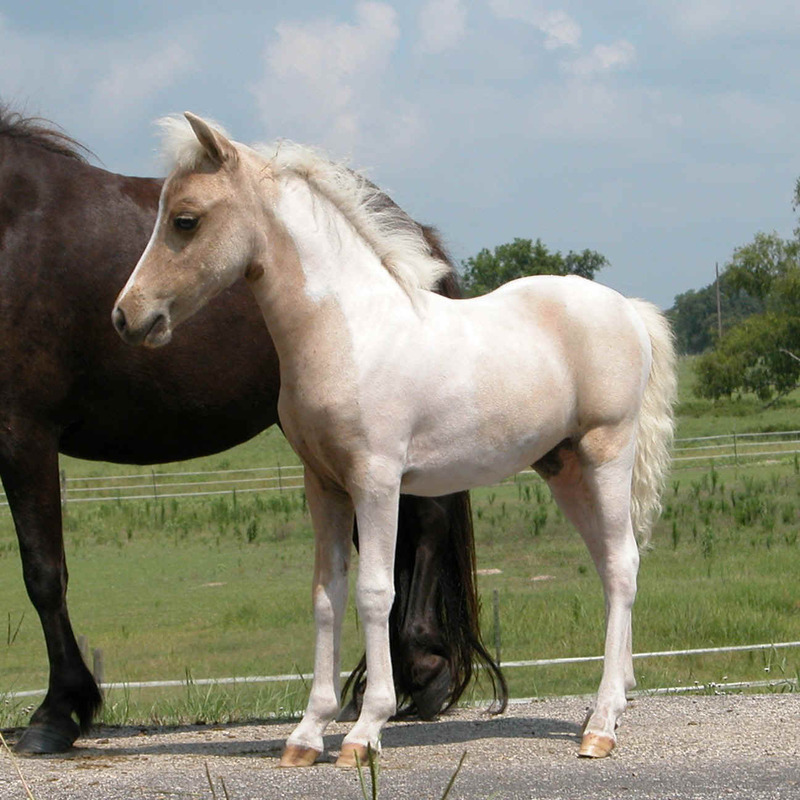 You will also find in her pedigree AMHA National Top Ten halter Champions: RLB's Indian Summer( an X-Caliber's Little Navajo daughter), Landry's War Paint and X-Caliber's Little Navajo. 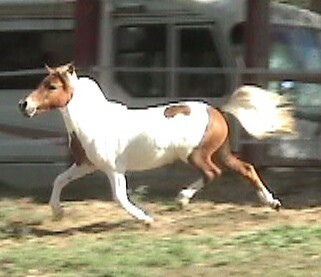 Champion mare at first show with 2 weeks training.